Some suggest that human issues are at the core of every business. Leaders who face these challenges look for opportunities to find solutions. Numerous executives are unaware that seeking methods to strategically plan, design, and measure work place performances may present possible solutions. Since many departments consist of teams with a well-developed vision of their strategic goals, leaders look to senior line managers to help solve growing problems like finding top quality personnel and utilizing technology effectively to serve their needs. These types of challenges arise because executives are unclear the role a human resource unit plays in an organization’s success. In fact, a growing number of researchers state that many corporate bosses find it difficult to identify Human Resource (HR) functions. Leaders want to support their significant assets – the people they hire and the technology they invest in – but are unable to comprehend how HR managers can help serve to achieve their vision. Ulrich and Huselid (2001) postulate that some of these problems emerge due to the inherent difficulty managers utilize to measure personnel performance records without an HR unit’s influence (Ulrich & Huselid, 2001). This research examines two of the biggest challenges facing HR departments today: personnel and technology and why leaders encounter these challenges without the guidance or collaboration of an efficient HR unit that serves to manage these important issues. In order to analyze the problems leaders face with respect to human resource units, we must first examine the influence an HR division has in a business arena. HR units are established to systematically supply and monitor intelligence on a regular basis to produce effective strategic systems. These strategies contribute to an organization’s culture and performance by managing personnel conflicts and challenges. 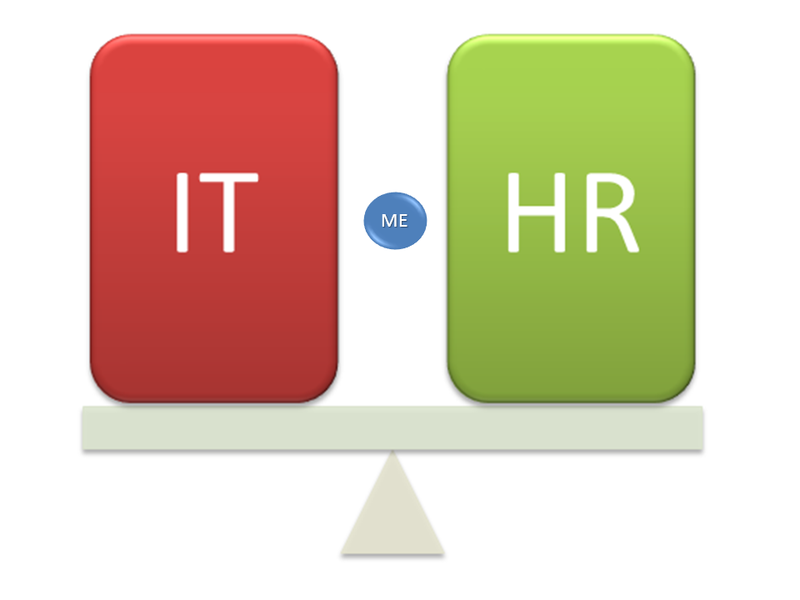 For example, an HR management team typically provides the following organizational functions with respect to personnel: (a) training, (b) development, (c) efficiency, (d) flexibility, (e) compensation, (f) employee turnover, (g) the cost per hire, (h) job satisfaction, and (i) performance evaluation (Stavrou-Costea, 2005). 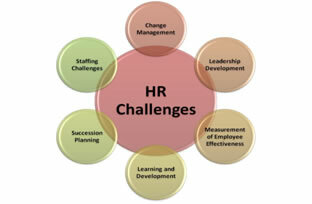 In addition, HR managers assign effective strategies that assist with achieving goals. They are focused on developing a committed capable workforce that supports the cultivation of personnel productivity. They also incorporate training systems that are engaging, produce efficient knowledge in their employees, establish activities and methods to motivate commitment, and inspire higher performance levels in staff members to outperform the competition (Ulrich & Huselid, 2001). In today’s organizational climate, leaders are experiencing extensive challenges in locating and hiring quality skilled workers who are dedicated and focused. This occurs because organizations are finding it difficult to retain skilled employees. In response, they are beginning to develop more effective training and development programs. Large corporations, for example, are competing for executives at smaller organizations. It is the HR department’s duty to ascertain, assimilate, develop, compensate, and retain valuable personnel. Organizations that are committed to excellence, for instance, understand the importance of cultivating skilled employees. As a result, they invest in HR management systems and design programs that educate and motivate workers (Seyed-Mahmoud, 1999). Technology is also a significant component in many areas of operational decision making. The use of innovative and upgraded technological systems has become standard practice throughout organizational management. A colossal obstacle that leaders face is the utilization of technology to improve performance and productivity (Seyed-Mahmoud, 1999). Some leaders, for instance, invest in technology as part of a new trend to keep up with the competition and therefore do not utilize the systems to full capacity. Effective leaders on the other hand, distribute communication devices to personnel like smartphones and tablets for the capabilities and features these electronic devices provide as self-sufficient smartware. These innovative devices offer features similar to those of portable computers at a fraction of the cost. The distribution of advance technology like this to personnel allows staff members the ability to access files, share information, and communicate instantly with colleagues and clients from remote locations. In short, productivity, efficiency, and long- and short-term goals are taken into consideration when making the most practical technological decisions. In addition, HR managers are incorporating technology as management resources. For example, technology tools like (a) automated manufacturing processes, (b) personnel software packages, intellectual property rights (c) communication, (d) collaboration, and (e) internet and intranet systems can help HR management teams to measure strengths and weaknesses in performance and progress outcomes (Seyed-Mahmoud, 1999). HR managers in this case, work in collaboration with organizational leaders and personnel to make the best decisions on the most effective use of technology available to help run an organization more efficiently. For instance, in today’s workplace, most offices consist of telephones, computers, IT networks, scanners, fax machines, and copiers. With advances in communication technology, many of these devices can be linked over telephone lines and wireless modems to make up a more sophisticated telecommunication system capable of real-time interaction from remote locations. An employee in the field can now capture an image or video clip through their smartphone, upload it via a wireless connection, add an attachment to include any other pertinent information or documentation, and submit the transmission instantly, with the ability to reach others on a global level. These kinds of unprecedented advances open the door for productivity and invite opportunities that present challenges for those who are not able to acquire or retain the knowledge to implement these advances in a constructive manner. Our research shows that although some leaders may find it difficult to identify HR functions and systems, those that do not comprehend an HR unit’s influence and are unsure of their role in a company’s success will not last very long in today’s global marketplace. Without a Human Resource Department to tackle personnel and technology issues effectively, a company will face challenges which include recruiting and retaining top talent and communicating the organization’s vision. In conclusion, the key components to an effective human resource team consist of finding solutions that address their biggest challenges with respect to personnel and technology. An effective HR management team works in collaboration with leaders to gather intelligence, design activities, and incorporate effective programs that support the organization’s personnel and utilizes technology efficiently. In this context, the HR unit is established to support the company’s ability to remain flexible and manage systems efficiently. 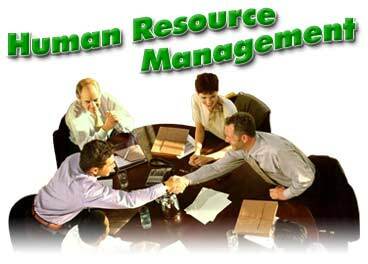 An effective HR management team works in collaboration with the organization to achieve long term economic success. Ulrich, D., & Huselid, M. (2001). The HR scorecard: Linking people, strategy and performance. Boston, MA, USA: Harvard Business Review Press. Anthony Robbins teaches that we’re all driven through the feelings of pain and pleasure. As people, we continuously seek out pleasure and keep clear of pain at all expenses. If an activity, dieting for instance, is associated with pain and pain in your brain, then that you are planning to discover it really challenging to institute any high-quality, thriving dietary program except if you modify the way you feel about this.Try to remember whenever you experienced a decision to make and all the details supported a course of action? Profound down you experienced a feeling that the decision, despite the fact that rational, was wrong. Did you go along with your “gut feel” and later find the almost-chosen solution would have already been a catastrophe. Or, did you ignore the gut feel and encounter the catastrophe?.The following coronary heart and heart and soul location is definitely proven employing the emblem within the favored Louis Vuitton Paris signifies residence. The following gold or possibly metalic bicycle appear just after is absolutely the appropriate span to acquire night ware as well the eye-catching gold tassel level through the finish within the bag is absolutely actually amazing completing. Look-alike bags began to be really worth deluxe events and functions like distinct dinners out out and about, golf tennis balls, relationship, besides other events while they can be typically as gorgeous for that cause that unique called clutches..The alot more unconscious that you are, the alot more you are likely to determine with form. You’ll be emotionally entangled within your very own situations, concerns, activities, and thoughts. If you are an opinionated particular person, and somebody threatens that perception program, your complete sense of physical survival will depend in your capability to protect those beliefs.For any person who is a woman who’s particularly preppy at coronary coronary heart, then you’d appreciate the Lacoste St. Andrews Duffel Bag. It has individual compartments for nearly each thing which you’ll be able to carry in the direction of the well being club; your yoga mat, your garments, components, and a number of other folks., and so on..Initially, nothing seemed to modify, but from your fourth thirty day period onwards, my bras experienced a little tighter. I was so excited! It took me about six entire months, but my breasts progressively grew one cup size. You can’t imagine how that made me feel and what it did to my self-esteem being a woman. Thanks for the feedback! You don’t need coding knowledge to blog. Just passion to share your wisdom and knowledge in words! In other words, just think like an artist and let your fingers do the walking as they listen to your heart’s desires! Hope that helps! I would say that learning and development is the toughest part of human resource management. Most of the companies, especially IT companies face a lot of challenges in employee management. This includes hiring, training, performance tracking etc. This is because most of these companies don’t have any convenient solution for learning management. Only few companies have well structured training policy. I think such companies use custom learning management systems. One of my friend who is working in an IT company management team has told me that they are spending thousands of dollars every month for employee training and related tasks. I don’t think that it will work for certain companies. I think online learning management systems are best for small and medium organizations. They only costs less than the manual training expenses. Thanks for your feedback Fred. I agree, learning and managerial development is a difficult task. Executives in key positions would benefit by investing in employees that are top performers, by enrolling them in leadership programs like Rapport International. The training and bonding that individuals experience from programs like these provide great ways to inspire positive transformation. When employees are valued, they are happy to offer loyalty to the firm and deliver higher performances. Thanks again for your valuable input!